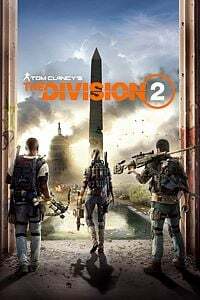 Best answer: To play The Division 2, you'll need at least an Intel Core i5-2500K or AMD FX-6350, and AMD Radeon R9 270 or Nvidia Geforce GTX 670. If you truly want to enjoy the game at what the developer intended, you'll need far superior hardware, however. Not only is this game massive in size, but The Division 2 is also rather demanding to run. To play the game on Windows 10, you won't need anything more powerful than an Intel Core i5 or AMD FX-6 processor, but you'll need quite the capable PC to truly enjoy it as the developer intended. Intel Core i5-2200K or AMD FX-6350 CPU. At least AMD Radeon R9 270 or NVIDIA Geforce GTX 670. Intel Core I7-4790 or AMD Ryzen 5 1500X. At least AMD RX 480 or NVIDIA GTX 970. Going above the recommended specifications will allow you to continue to turn up VFX settings to really make the game look gorgeous. Here's what I'd recommend you have installed to play The Division 2, which will enable you to enjoy a visually pleasant experience without in-game stutter. Ensure your AMD or NVIDIA GPU drivers are up-to-date. Set your power plan to "High performance". Disable Windows 10 visual effects. Ensuring your GPU drivers are updated probably won't make much of a difference, if any, but it's worth trying the other steps out regardless. You can also check to make sure apps aren't using resources or your connection without your knowledge, both of which can impact the performance of The Division 2. The Division 2 is Ubisoft's successor to the first installment, set to improve the shoot-and-loot formula on PC and console.